The only thing better than finding a trendy brand with high quality products is finding a trendy brand with high quality products with EXTREMELY low price points. For real, it really doesn’t get any better than that. The Lee family started their business in Sydney Australia back in 1963 and since than grown significantly and can now be found around the world. 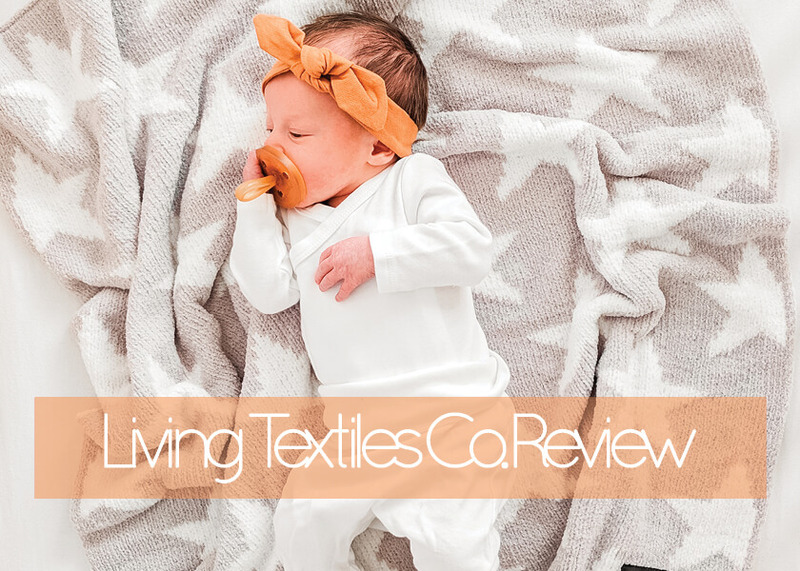 All Living Textiles & Lolli Living products are machine washable – which is an absolute must because ain’t NOBODY got time to hand wash ANYTHING once you have kids… ya feel me? 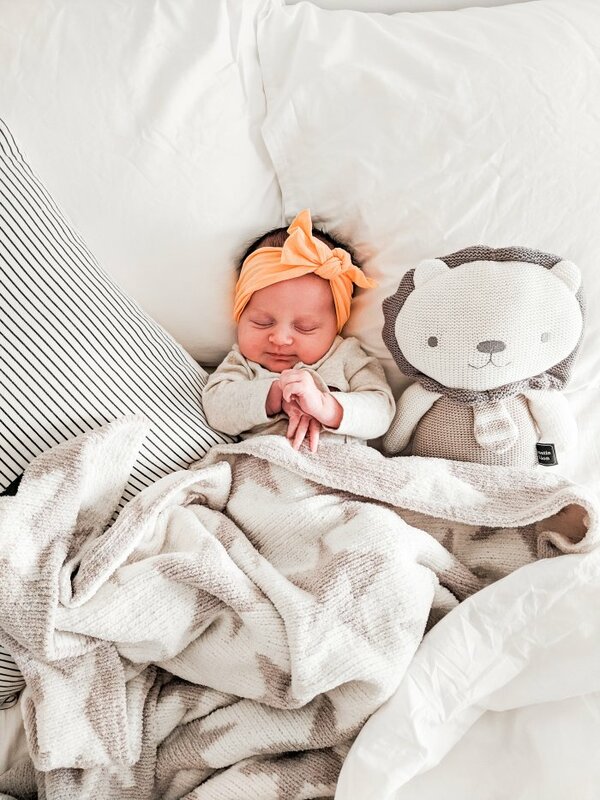 Living Textiles has it all from: crib sheets, blankets, plush toys, muslin swaddles, rattles, etc. 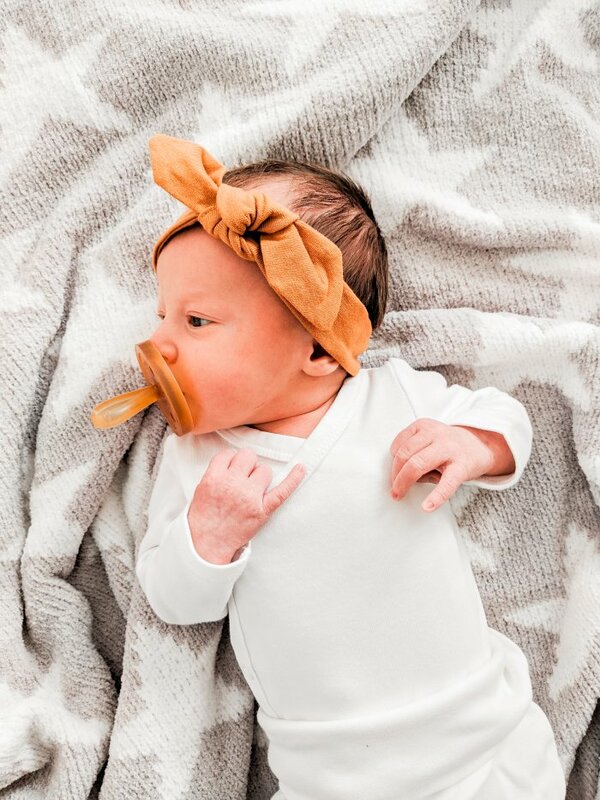 Not only do they carry a wide range of products but they also have a great selection of gender specific and neutral items ensuring that you’ll be able to find something perfect for your little babe. This knitted garland is just shy of 5′ in length and acts as the perfect decor piece on the front of the crib [of course until our babe is old enough to realize it’s there and start pulling on it] than I’ll be moving it to another spot in the nursery. Living Textiles also carries a pink heart + grey cloud version, all retailing for under $25. Baby blankets are my weakness. There’s just something about your precious babe wrapped up in a cozy blanket that gives me alllll theee feeeeeels. 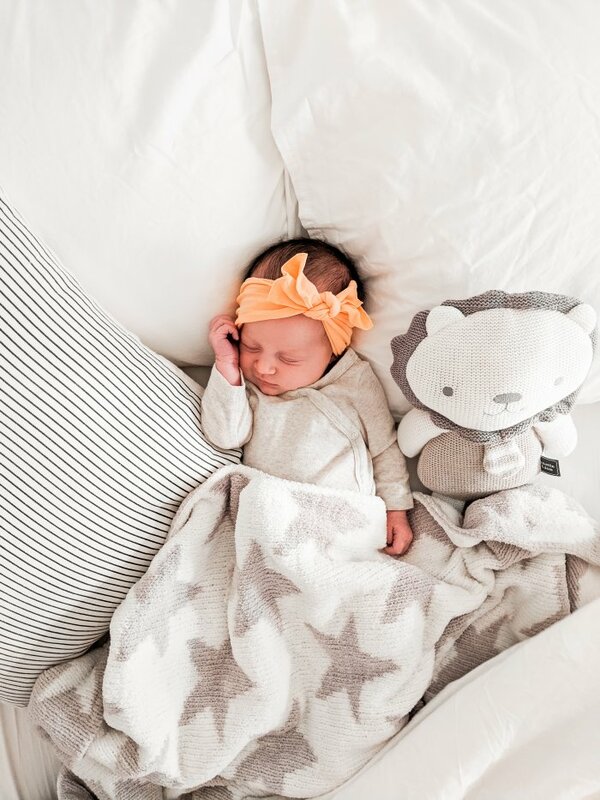 One of our favourite blankets from Living Textiles is the 100% polyester chenielle grey stars blanket that’s 40×30″ and soft AF. One side of this ultra-cozy blanket is grey and white stars and the other is white with grey stars. Cute eh? 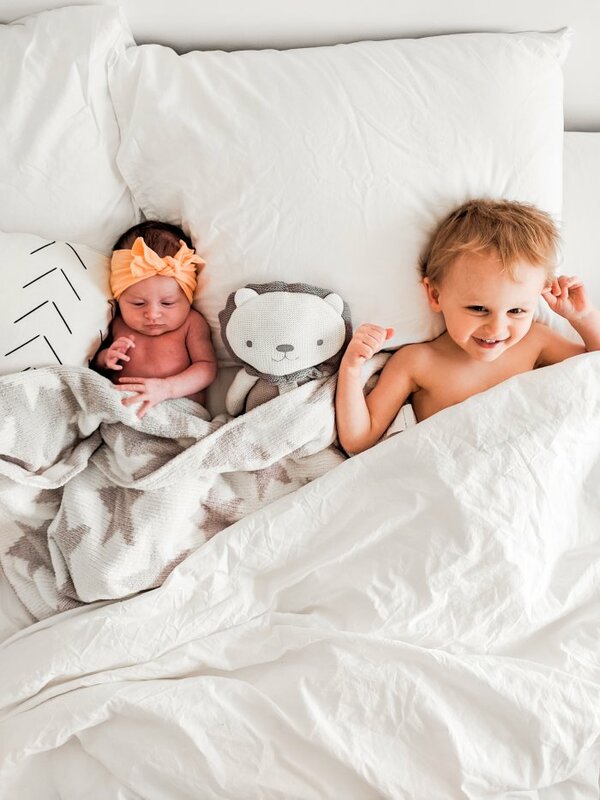 Raise your hand if you dream about the day your littles will become obsessed with a specific stuffed animal that they refuse to leave the house with? Cuz same. It took Lincoln about a year to fall in love with a bunny that I bought prior to having him and I’m hoping Ayla will become mega attached to this lion because just look how cute it is?! Living Textiles has a variety of plush toys all under $25 but little Austin is my favourite! Oh and I forgot to mention the toy rattles which makes it even cuter. Ob-sessed.